Recent talk of walls in the media has brought up a lot of emotions, but what do walls do in nature? There have been many controversial walls and barriers in recent human history: The Berlin wall, The Israeli West Bank Barrier, and the most recent hot topic: The US-Mexico border wall. But there are some walls which have been around for much longer than humans, and are undeniably good: Cell walls. Numerous life forms require the protection of a cell wall for survival. They come in many different flavours and their structure is custom made for each organism, whether it is a fungus, bacterium, or a plant. Let’s start with plants: For the most part, land plant cells are encased by polysaccharides (complex sugars) such as cellulose and pectin. Both of those polymers may sound familiar to you: cellulose, or as some may refer to it, “dietary fiber” is often taken as a supplement to assist with digestion. You may have also heard of pectin, as it is often used in the kitchen to thicken jams and other gel-like food items. These structures play several roles in a plant’s life. They are important for the adhesion of neighboring cells so that they can communicate. They are critical to maintain the cell’s shape so that the plant as a whole can stand upright and transport water and nutrients from one region of the plant to another. The plant cell wall is also important in protecting the plant from pathogens by serving as a physical barrier . These include disease causing agents that we’ve discussed before such as insects, bacteria and fungi. Another group of organisms that rely on a cell wall to survive are bacteria. While one bacterial genus lacks a cell wall – Mycoplasma – the structure is essential in the majority of bacteria. Most bacterial species need a cell wall to for reasons that are similar to why plants need theirs. They need them as a mechanical barrier to deal with turgor pressure, which is a force applied to the cell membrane due to a difference in the concentration of solutes (the inside of the cell contains more “stuff” than the outside of the cell) and as water tries to push into the cell, it may burst. Despite the apparent necessity of the cell wall for survival in other bacteria, the lack of a cell wall in Mycoplasma actually helps it in being a successful pathogen! This is because one of the organism’s virulence factors (a feature that a pathogen has, which makes it able to cause disease) is the ability to fuse to its host cell. Yes, you got that right – these cells can just “melt” themselves together with the cell that they infect, which is sometimes a human cell – most often in the respiratory system, causing pneumonia . Another way that lacking a cell wall works to the advantage of Mycoplasma is that many common antibiotics, including penicillin, target the bacterial cell wall. But if you don’t have a cell wall – no one can ever hurt your cell wall! In addition to its important function in bacterial survival, the bacterial cell wall is also important to humans, as the structure of the cell wall is constantly used to classify bacterial species. One of the most basic tests conducted in a microbiology lab is called a “Gram stain”, which essentially differentiates between cells based on the structure and thickness of cell walls. Those with thick cell walls retain the purple crystal violet dye and are referred to as Gram positive. 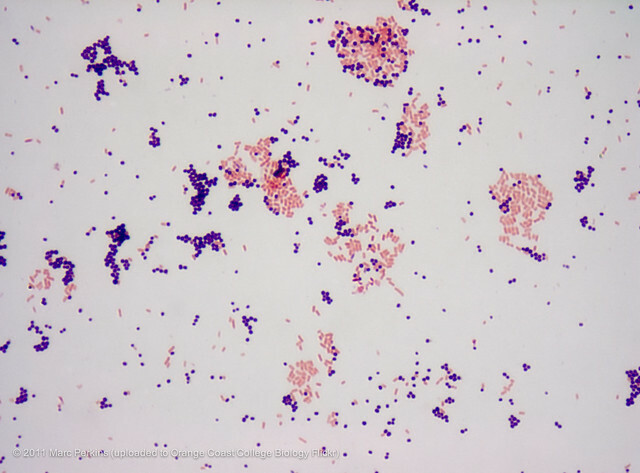 Those which do not keep the purple dye are referred to as Gram negative, and are instead stained pink by the safranin counterstain. This may seem like an arbitrary distinction, but it has important consequences for factors such as the antibiotic selected for treating an infection. Nonetheless, Gram positive or Gram negative, the cell wall contains a polymer network called “peptidoglycan” which is made up of both amino acids (the building blocks of proteins) as well as polysaccharides. Since biology is full of exceptions to the rule, there are also bacterial species that don’t exactly fall into Gram positive / Gram negative categories. Mycobacteria, the genus that includes the causative agent of tuberculosis, Mycobacterium tuberculosis is yet another exception. This organism does not only have peptidoglycan as its main cell wall component, but it has two more polymers: arabinogalactan and mycolic acids, which make it extra hard to penetrate the cell wall. This unique feature of the bacterium is part of the reason that there is no effective tuberculosis treatment, and so the disease is able to claim deaths worldwide at a number that is comparable to HIV/AIDS with 1.5 million tuberculosis deaths in 2014 alone . While for us this challenging cell wall is heartbreakingly tragic, from the point of view of the bacterium this cell wall is a survival strategy. Fig. 3 Source: Wikipedia Top diagram is the structure of a Gram negative wall, bottom is of a Gram positive cell wall – Can you spot the differences? 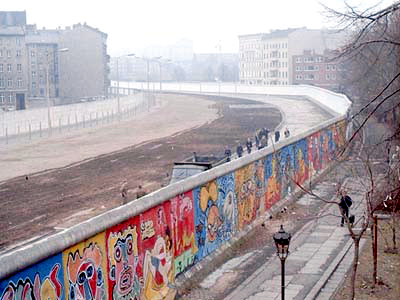 From bringing people together in their homes, to dividing people in a political or even physical sense, walls have a variety of functions in the human world. But in nature, walls are just walls. They are meant for survival, nothing more nothing less. Doesn’t nature’s “simplicity” sometimes make you a little jealous? Nishitani, Kazuhiko, and Taku Demura. “Editorial: An Emerging View of Plant Cell Walls as an Apoplastic Intelligent System.” Plant and Cell Physiology 56, no. 2 (2015): 177-179. Rottem, Shlomo. “Interaction of mycoplasmas with host cells.” Physiological Reviews 83, no. 2 (2003): 417-432. World Health Organization. Global tuberculosis report 2015. World Health Organization, 2015.